The presentation skills training course will help develop the presentation skills of participants. This training is suitable for all levels of staff who deliver presentations. 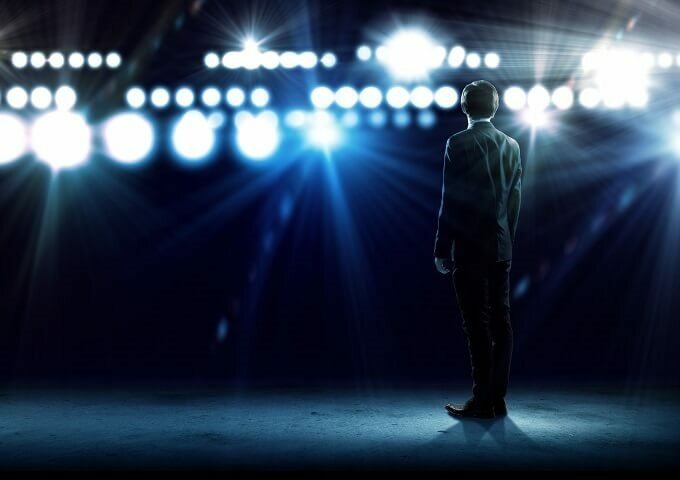 In a survey carried out amongst experienced, middle and senior executives, designed to determine the things that they feared most, public speaking came out as number one. Death was eighth on the list! So, most of us would rather die than stand up and present! This training will provide your participants with the ideas and techniques to help them feel more confident about presenting, and will help them to become an effective presenter. Helping participants to focus on the relevant attributes of a leader and explore their own views towards leadership. Identifying what makes a presenter good and analysing the skills required. Key considerations when planning a presentation and planning around the audience. Considering the attention span of an audience and structuring the session around this. Using the ‘Communicating to Convince’ model to structure the presentation. How to start a session with a bang. The do’s and don’ts regarding visual aids and making them effective. Considering their style, including; mannerisms, gestures, eye contact, voice and nerves. A chance to test their presenting skills and provide feedback in a safe environment.